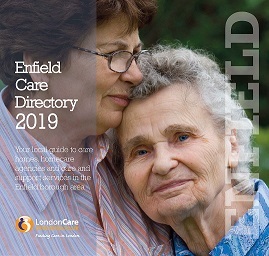 Please click on the link above and you will then see a fully interactive version of the Enfield Care Directory. Vouchers, London Care Directories, 162 Leicester Road, Barnet, Herts EN5 5DS. Just write the name of the Directory you want in the top left hand corner of the envelope. If you require copies of more than one Directory, or multiple copies of the same Directory please call 020 8364 8428.